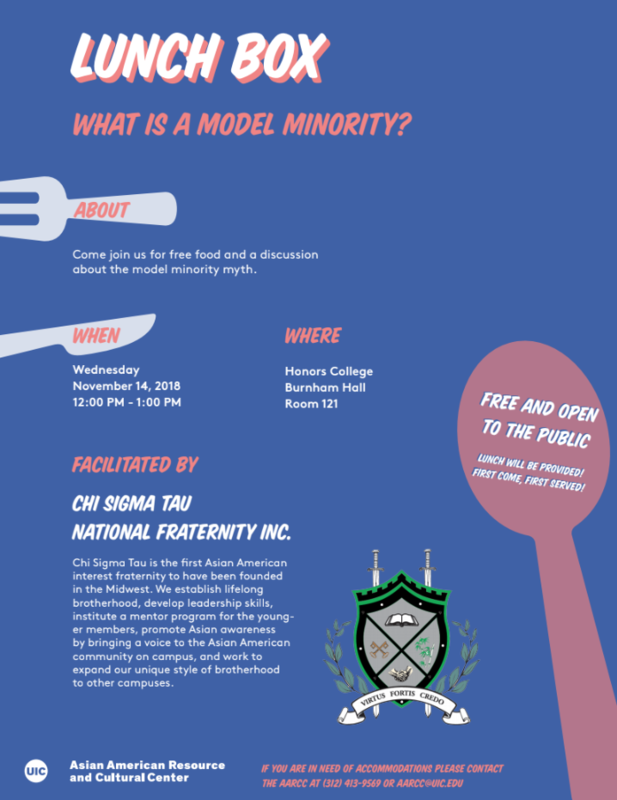 Come join us for free food and a discussion about the model minority myth. Facilitated by: Chi Sigma Tau National Fraternity Inc.
Chi Sigma Tau is the first Asian American interest fraternity to have been founded in the Midwest. We establish lifelong brotherhood, develop leadership skills, institute a mentor program for the younger members, promote Asian awareness by bringing a voice to the Asian American community on campus, and work to expand our unique style of brotherhood to other campuses.